Frontier aluminum trailers are well built and come with a 7 year frame warranty. 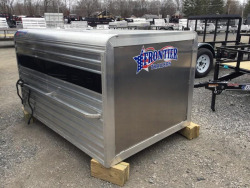 We stock Frontier Aluminum livestock, Pig, Sheep, and Horse trailers. They manufacture some beautiful Lopro Pig trailers and we stock them in 4-12 pen models in both gooseneck and bumper pull. 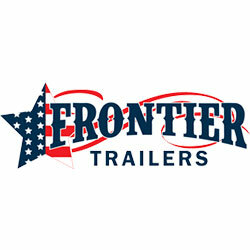 Check out our complete lineup of Frontier Aluminum trailers and get yours today! If you have any questions, give us a call or stop by our Carterville, IL or Mount Vernon, IL stores to talk to a Frontier aluminum trailer specialist!